Instagram CEO Wants to See the Service "On Every Platform"
Instagram CEO Kevin Systrom recently sat down for an interview with The Guardian, sharing some thoughts on the future of the platform and where he sees the company in five years. Among finding ways to grow and tackling the issue of advertising, Systrom said he wants to see his photo-sharing service, which was purchased by Facebook last year, "on every platform, on every kind of phone and tablet and wearables." In the company's short history, Instagram has ballooned to over 150 million users at an incredible clip, with 55 million photos uploaded a day. That kind of growth in such a heavily saturated mobile world is quite impressive, but Systrom isn't letting that success get to his head; he has his sights on what lies ahead. "Exploration and discovery is the main concentration for us," he said, explaining that he essentially wants Instagram to mature and evolve into the Twitter version of the photo world. "If you're seeing something interesting happening in Syria, or Egypt, we want to give people a voice so they can broadcast to the world," Systrom said. "The balance between editorial and algorithmic is going to be really interesting because there's no one person that can figure out what you should be looking at." It's perhaps this focus more than anything that drives Instagram as it moves beyond being just about filters, which Systrom admitted is leading to some "fatigue" among its users. However, Systrom explained that filters allow users to better editorialize their lives, and set a particular tone; he gave an example by highlighting the film Traffic, which had three distinct film segments. 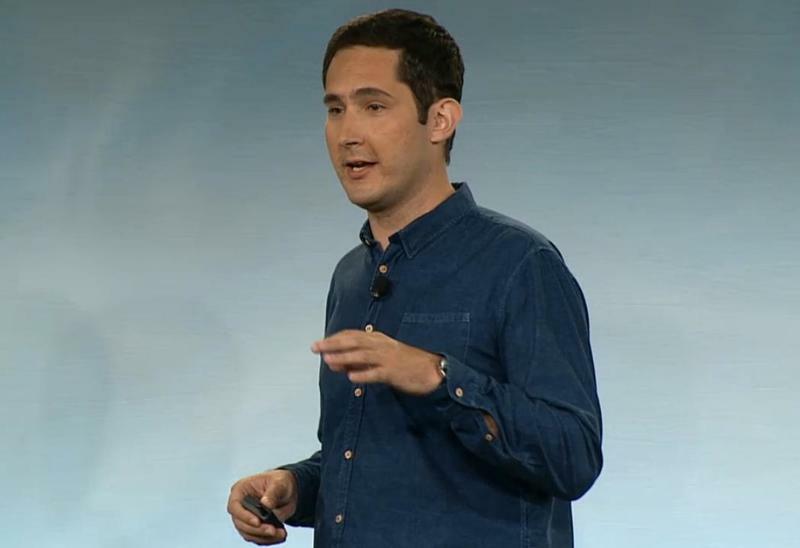 While Systrom doesn't expand on his comments about being on every mobile platform and every tablet, he says the company is laser focused on mobile, and doesn't have plans to expand Instagram's presence on the Web. Mobile is valuable because it offers almost instant gratification, giving users the tools to snap and upload a photo in a matter of minutes. "In the moment," Systrom says. Relying on the Web, Systrom argues, isn't as good because people might not upload a photo of what they did until hours later, losing some of the platform's immediacy. Instagram is currently mulling over how to introduce advertising to the platform in order to produce some revenue. In a recent update to iOS, the company disabled the option to turn off automatically playing video posts, suggesting advertiser video will start filling user feeds—we already know ads of some sort will show up later this year. How users will respond unwanted videos playing in their feed remains to be seen. The interview is fascinating, and sheds light on the company's current ad conundrum, and how Systrom sees Instagram evolving heading into the future. Perhaps the most interesting comment the CEO makes is about how he wants to see the service turn into a source for news, and not just fun content from friends and family. "I want Instagram to be the place I learn about the world."